The Minimalist Stock is an ultra-minimalist solution for AR owners that require a solid and compact rifle stock. Unlike most other aluminum stocks, the Defender L1 can be installed on any mil-spec buffer tube, and manipulated with the locking tab on the underside of the stock. The locking tab is located in the same position as most traditional polymer stocks and requires minimal muscle memory re-calibration. The L-shaped profile features an integrated QD socket on both sides and has a shorter length of pull than standard sized stocks. 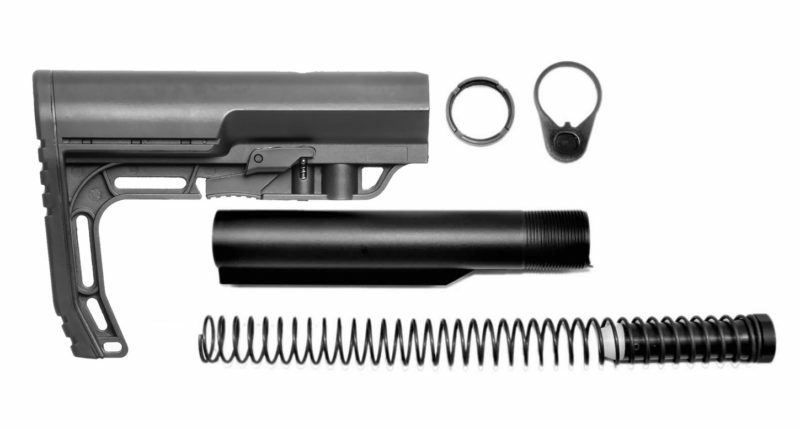 This Kit comes with the 1 Stock, receiver extension, buffer, buffer spring, castle nut, and receiver end plate.